In other words the zwerg aren't just the dwarfs of Germanic mythology, they are also likely the fairies of the Celtic peoples who lived in parts of Germany before the Germanic migration, and the many other fairies that existed in the Alpine regions throughout Central Europe. 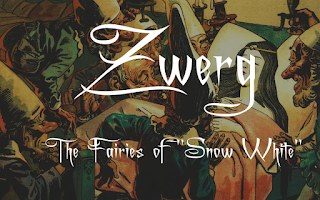 As shown in the following fairy tales many of the zwerg were beautiful, and their lifestyle was often believed to be freer, happier than that of humans. Her friend replied that she would. A zwerg heard this and came and courted the women the next day and soon the two of them were married. She lives with him in his mountain where they have several children. Yet at the same time, zwerg didn't always have the best relationship with humans. In another story a poor girl is wondering through the freezing snow when she discovers a zwerg home. The zwerg demand that she sleep with one of them in return for shelter. After she complies a woman from the human village bursts into the zwerg's home, rude as can be. While she wished to trade with the zwerg she thinks of them as garbage and is furious to discover a human woman with them. Later she brings back the villagers to murder all the zwerg in the hut. This is a very different story from the above where a human girl marries a zwerg, or a number of short memories of human women being married to zwerg and living happily with them. In one of these stories a woman and a zwerg are happily married as they discuss what to give as a wedding gift to a human couple they know who is getting married. "In Westerberge the zwerg would enter a house at the far end of a village and bake their bread, using their invisibility caps to remain unseen. Every time they did this they always left some bread to thank the owners of the oven." "In Launenberg there was a farmer named Koch. He had several horses that were always sick and many of them tied. The farmer didn’t understand what was wrong, but at last he discovered that the zwerg resented him. For his stable had been built above the zwerg’s home, and the horses urine flowed down through the ground into the zwerg’s home. Realizing this the man moved his stable and the zwerg were so grateful they gave him some flax string that never ended"
"The zwerg near the village of Dorste were cruel and dangerous. They loved to frighten and hurt people, they kidnapped young ladies and children. But most particularly they would destroy the farmers’ fields. One farmer discovered that they’d been destroying his pea fields and grew furious and went into town to get some advice. Here he learned that if the zwerg lost their hats they would become visible, so he hired a bunch of men to wait in is fields with long rods. Then when he heard the sound of the zwerg rushing about he had the men beat the rods about until one of them struck the zwerg’s hat off its head. Now visible the zwerg begged for mercy and promised to pay for the damage he’d done, so the farmer let him go. Later he went up to the hill to retrieve the promised payment where the zwerg offered him a dead horse. Furiously he cut a few chunks off it thinking it would be good food for his dogs but nothing else. When he got home he was delighted to discover that the meat had turned to gold." It becomes clear from the dizzying array of stories about zwerg, that there are indeed a lot of regional fairy traditions about them. So, the fairies in "Snow White" are likely made up of multiple traditions, and may also be fairly unique. In general the zwerg seem to be similar to me a mix of Celtic/Western European fairy ideads. They are generally small, though not always, they love to dance and sing on hills, live in courts, replace human children with changelings, and seem to be refugees from the human invasion. At the same time they are very often clearly Germanic,as they often live in mines and are amazing blacksmiths. 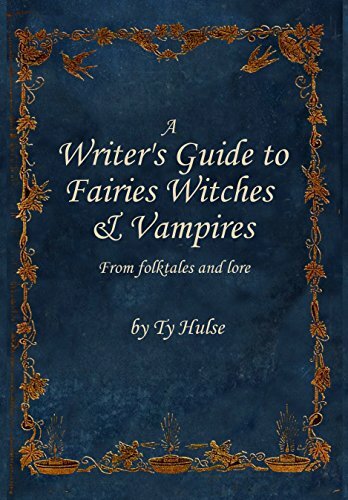 To begin to understand the fairy traditions surrounding these fairies let's examine their introduction in the story: Rather than repeat the whole story here I will, however, simply provide what I believe are the most important quotes about the fairies and their home within. "Everything in the cottage was small, but neater and cleaner than can be told." "When it was quite dark the owners of the cottage came back. They were seven dwarfs who dug and delved in the mountains for ore."
"The dwarfs said, if you will take care of our house, cook, make the beds, wash, sew and knit, and if you will keep everything neat and clean you can stay with us and you shall want for nothing." What should be clear form this is that the zwerg are small, neat, miners, who live in the woods rather than underground, and while they were kind they demanded hard work. Their mining profession does tie these zwerg to Germanic traditions about dwarfs, but most dwarfs from sagas and eddas lived underground rather than deep in the forest. Indeed, very few fairies lived in cottages in the woods. The idea of a cottage in the forest makes them seem more like "lords of the land," "kings of the forest" rather than dwarfs or Western European fairies. Such lords of the forest often wanted human servants and or slaves to do work for them. Working for them for a set number of years was often a condition of their granting a person some wish. Yet the small size, and the neatness of the zwerg makes them seem to be similar to the Celtic and possibly other fairies of pre-Germanic Germany. These fairies were generally obessed with hard work and would give coins to those who worked hard, often leaving these in a persons boot, while punishing those who didn't. The problem is that many of these are also features that the Romantacist Grimm Brother's may have added or at least focused on. Even so it was common for the zwerg and other fairies to obsess over cleaneliness, kindness, and hardwork so it is likely that these were part of the original fairy tale. Given the nature of the zwerg as miners, who live in a cottage, and seem to act a bit like Western European small fairies, I would say that there may be three traditions mixed into this story. Either that or the fairies in this story represent a unique local tradition that was intermixed with the Germanic idea of dwarfs.